We use premium quality raw materials applying cutting edge technology. These are offered at industry leading prices. Winding Speed: 225 r.p.m. approx. Regent Engg. & Suppliers Co. The machine is designed to wind rotors for alternators, AC synchronous motors etc. Machines are available for various rotor sizes. 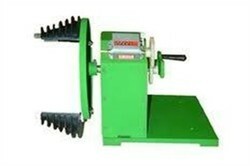 We are manufacturer of all kind of HV and LV coil winding machine which are well tested and used machines. All machines are very rigid and heavy duty but at same time we have worked well on its aesthetics. Please tell us your technical requirement and specifications. We will provide you quotation which will meet exactly your demands. The stator windings of Cage and Slip Ring Induction Generators are similar. Patels Analog & Digital Measurement Co. Pvt. Ltd. 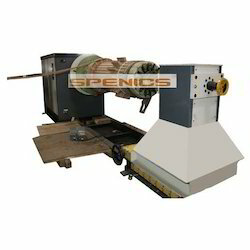 In this machine the feed of taping head is automatic up to straight portion. The lap (feed) can be preset. - High Voltage Coils: H.V. Coils are the components of finished transformers. They are made on automatic layer setting winding machines. - A solid cylindrical former of predetermined diameter and length is being used as hase over which is made.